The Legend of Zelda: Ocarina of Time is the favorite of many, and a classic like this deserves maps with similar qualities. Peardian, a veteran user of VGMaps, decided to map the whole game in an amazing-looking isometric view. According to VGMaps, he had to render the maps twice, both from top and side view, and it took him two years to fully map the whole thing. Here are a few examples. 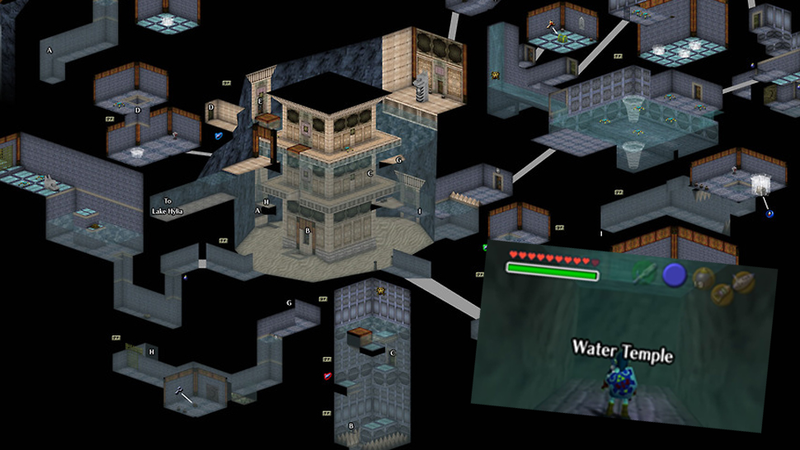 The last one for Kakariko Village is my favorite, and the Water Temple looks like an entry level dungeon. But these are all superb, and great for a walkthrough. Oh, and spoilers ahead for those who haven't played the game yet.